So although I have blonde hair and blue eyes and annoyingly pasty white skin, I am indeed half Greek! (WHERE is my olive skin?!) Anyway, I grew up with my Yiayia making all kinds of amazing Greek food, in which can be healthy… but I can’t imagine hers was. Regardless, I was young enough to where I didn’t really have to worry about it. Ok, I am getting off topic again, you’ll notice I do that often… onto the recipe! 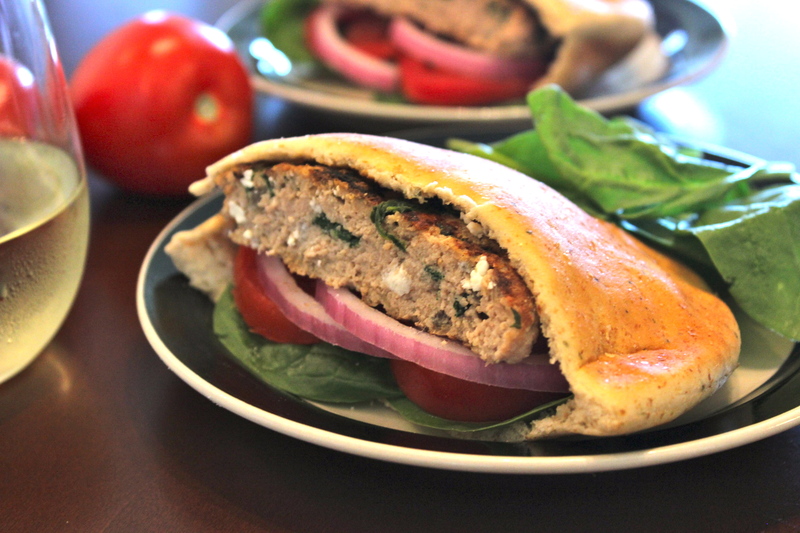 With my love for Greek flavors and food, I decided I wanted to make the feta and spinach turkey burgers I have seen floating around the food blog communities — I am addicted to Food Gawker!! 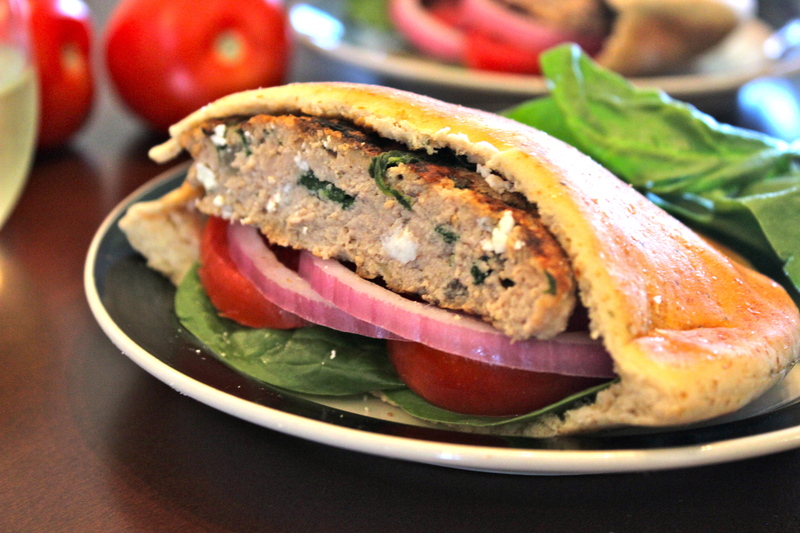 (And actually, it’s also a recipe from where I work — Hungry Girl — check it out here!) I used that recipe as a base, but adapted it slightly. In a skillet sprayed with nonstick spray, cook onion and garlic until softened, about 4 – 5 minutes. Add spinach leaves and cook until wilted, about 1 – 2 minutes. Transfer to a large bowl and blot away any excess moisture. Once spinach mixture is slightly cooled, add all remaining ingredients to the large bowl and mix well. Form into 5 patties. Cook on a grill or in a skillet with nonstick spray on medium heat about 6 – 8 minutes per side, until cooked through. ← My first ever post! Funfetti Donuts!